I am a runner. I run road races, obstacle courses, cross countries and trail races and the occasional track event. I am a petrolhead, craft nut and fan of metal, blues and anything by Fleetwood Mac. I sew, I write. I live through my mental health issues. My favourite colour is purple and I sleep with a teddy bear called Chalky. I talk and sing to myself a lot. I buy myself flowers. I cackle. I can be very loud and display a complete lack of decorum after a few boozes. I dribble when I sleep. 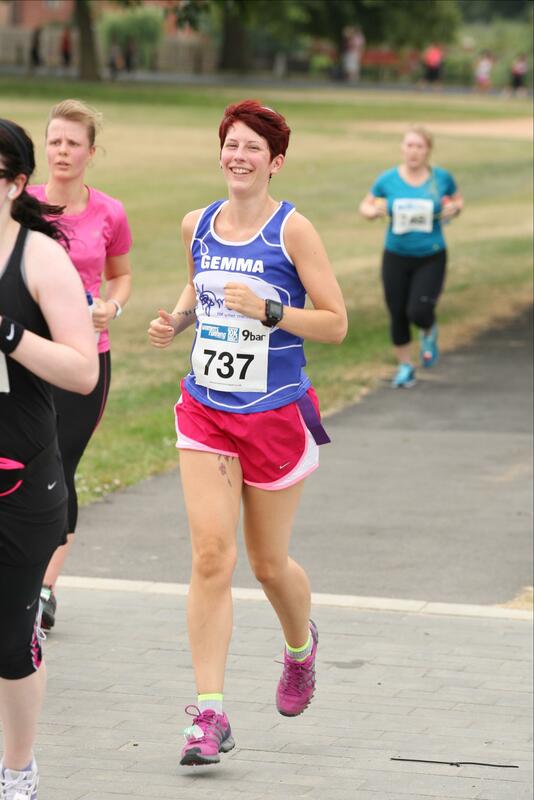 I almost always look happy when I run, especially if I spot a photographer.